AIMIM chief Asaduddin Owaisi criticised the judiciary after two accused in the 2007 Hyderabad twin blasts case were acquitted after serving 9 years in jail. He said that the judgement has brought no closure to the case and not justice has been delivered to their families which have suffered for so long. File photo of AIMIM leader Asaduddin Owaisi. All India Majlis-E-Ittehadul Muslimeen (AIMIM) chief Asaduddin Owaisi on Tuesday slammed the judiciary after two of the five accused, Farooq Sharfuddin Tarkish and Mohd Sadiq Israr Shaik, were acquitted in the 2007 Hyderabad twin blasts case. He said although respite has come to the two but it has come 9 years late bringing no relief to their families which have suffered for so long. The AIMIM president took to his official Twitter handle and vented against the late justice given to Farooq and Sadiq. He wrote that both the men were in prison from 2009 and it took the court 9 long years to find them not guilty. 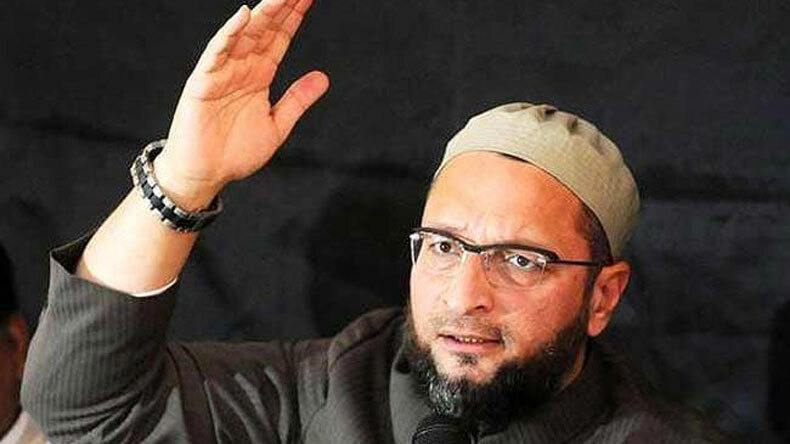 Asaduddin Owaisi also revealed that Farooq and Sadiq’s lawyer Abdul Azeem had told him that the evidence presented against the two in the court was circumstantial and the eyewitnesses were interestingly found and put before the judge after one year of the offence. Owaisi then went on to lament the suffering of the victims’ families and how the acquittal has not brought any closure to them. Earlier in the day, a special National Investigation Agency (NIA) court convicted Aneeq Shafeeq Sayeed and Ismail Chaudhary in the 2007 Hyderabad twin blasts case and acquitted Farooq Sharfuddin Tarkish and Mohd Sadiq Israr Shaik. The court will pronounce judgement on one more accused Tareeq Anjum on September 10, Monday. The other two accused in the case, Riyaz Bhatkal and Iqbal Bhatkal, are absconding since the blasts. Back in October 2008, Maharashtra Anti-Terrorism Squad arrested all the accused, who allegedly have links with Indian Mujahideen. The accused were charged under the section 302 (murder) and other relevant provisions of the IPC and sections of Explosive Substances Act in the twin blasts.